CCJ to show at the Sarasota Fringe Film Festival! Click Clack to screen at the Sarasota Fringe Film Festival tonight, Saturday, April 4 at 8:00pm. Admission is $5. 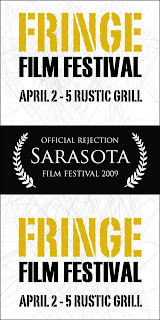 Please come support these films as they were rejected by the Sarasota Film Festival! We need your support!